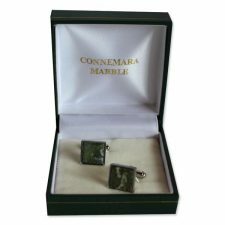 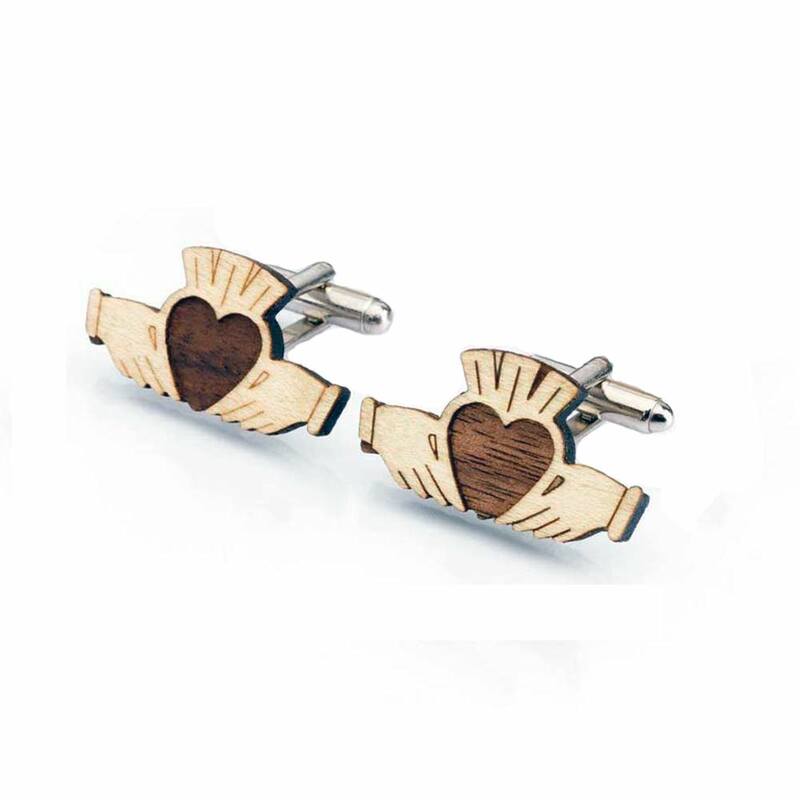 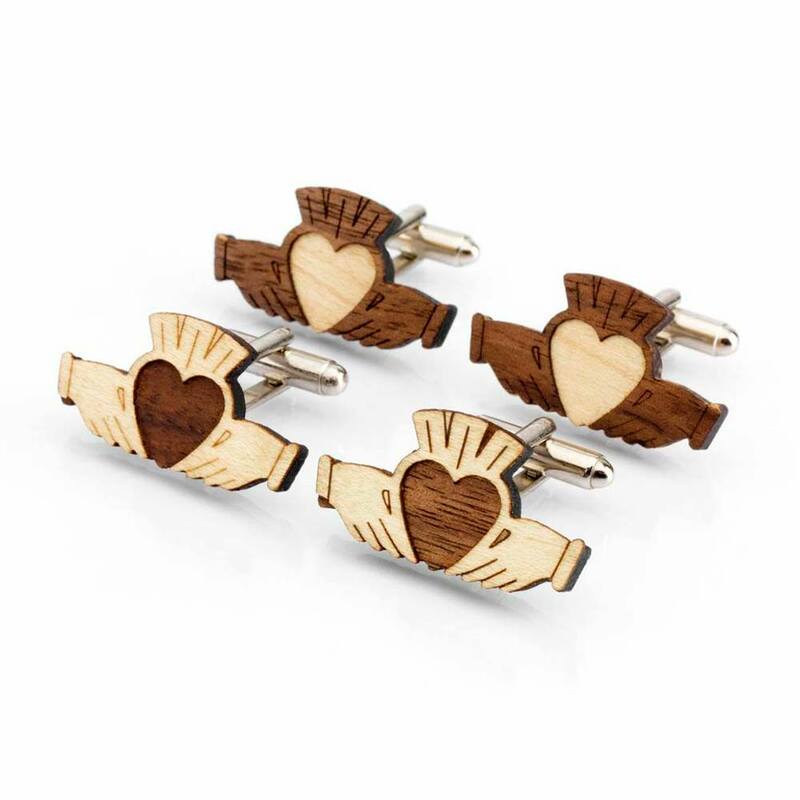 A beautiful pair of Wooden Claddagh Cufflinks, presented in a Claddagh inspired gift box. 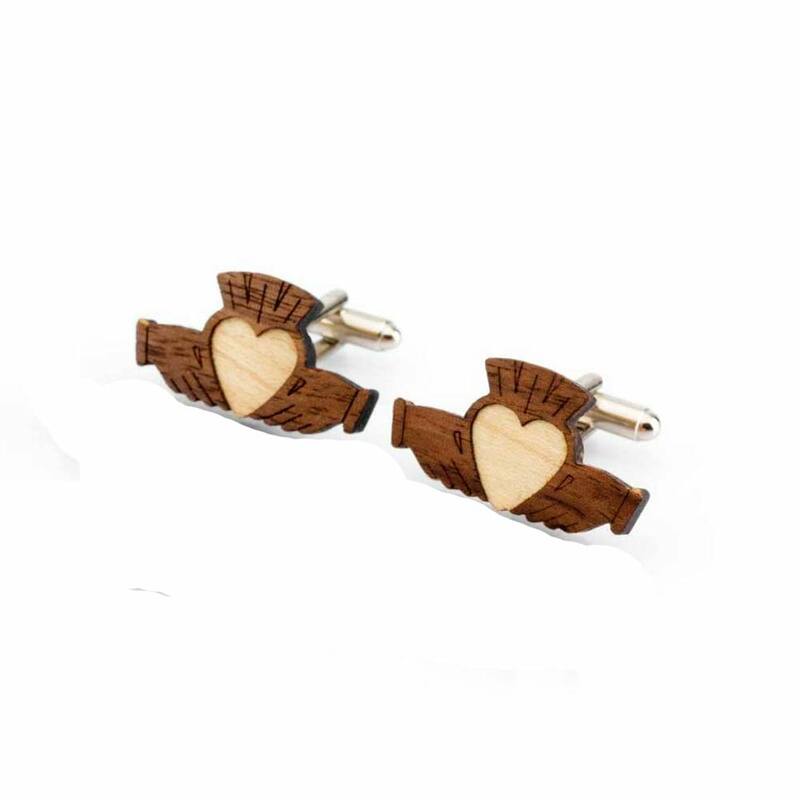 These Cufflinks are made from Irish Sycamore (light wood) and American Walnut (dark wood). 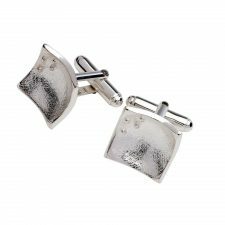 Beautiful handcrafted wooden cufflinks, made by Monson Jewellery, Co. Kerry. Claddagh is the symbol of ‘love, loyalty and friendship, read my blog on the Claddagh. 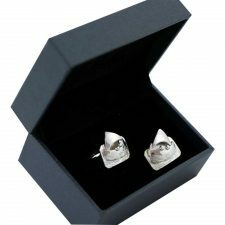 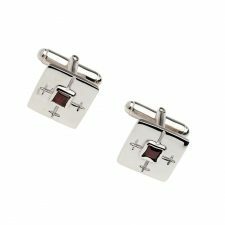 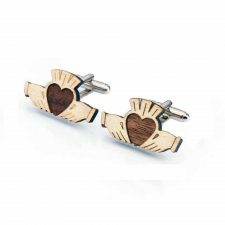 These Wooden Claddagh Cufflinks are presented in a Monson Jewellery gift box with the Claddagh symbol and line ‘Love-Loyalty-Friendship.